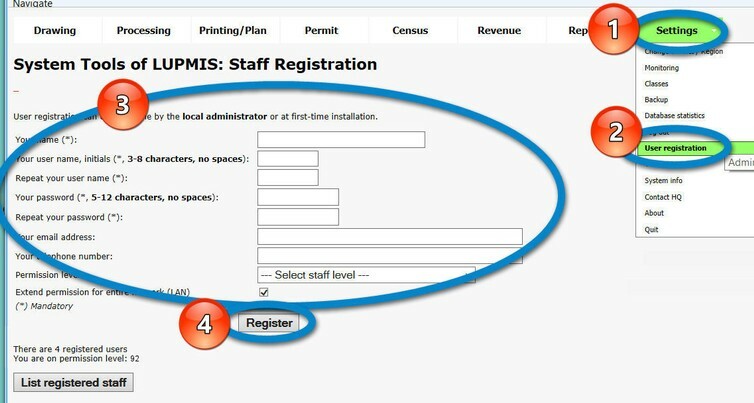 The essential data for registration are marked with an asterisk (*): Name, user name, password, but it is also recommended to enter email address and telephone number of the user. 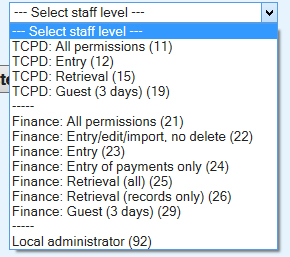 The LUPMIS administrator(s) can also list and delete users, but can not change a password. If a password is lost by a user, he/she has to be re-registered by the LUPMIS administrator.